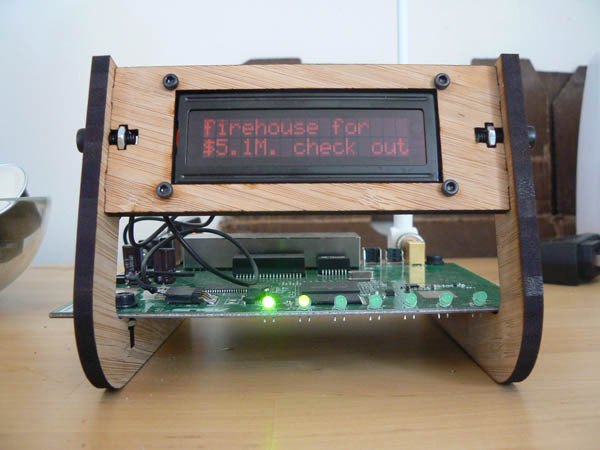 David Nichols made this awesome wireless twitter display by combining a hacked Asus WL-520gU wireless router with a Sparkfun serial-enabled LCD display. The router is running the same OpenWrt distribution I used for my Wifi Radio project, plus a USB thumbdrive that provides some additional flash storage space. I really like the custom laser cut base that holds the LCD display and the router! For more pics and info, check out David’s flickr set for the project. 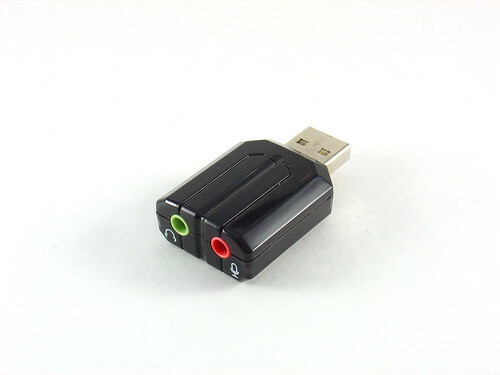 I am using this tiny USB-audio adapter as part of my Wifi Radio project. 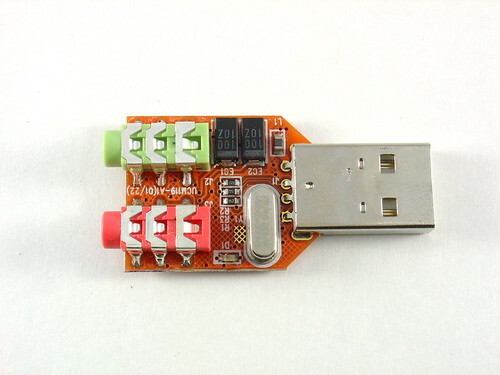 It’s a ridiculously cheap $8 at Newegg.com and contains a C-Media CM119 chip targeted at VoIP applications. I have no idea why they chose to use a VoIP chip for this application because it contains a lot of bells and whistles that are not being used in this device, such as support for a matrix keypad! 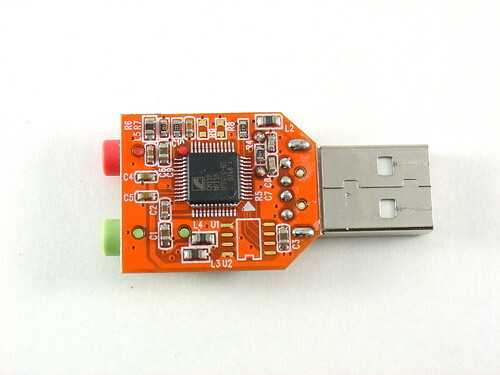 Unfortunately, I have not been able to locate a datasheet for the CM119 so for now I will be using it only for it’s intended application – adding an audio output to a wireless router with USB. Come to think of it, that is probably not it’s intended application, but it’s close enough. Hooray for embedded Linux!